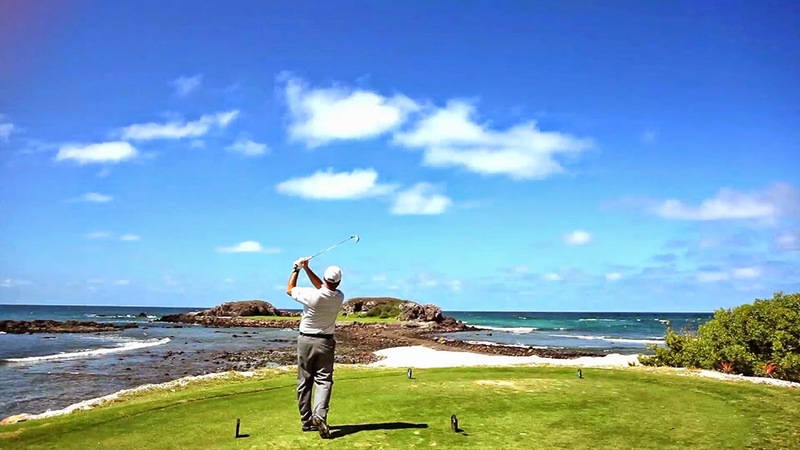 The Riviera Nayarit Convention and Visitors Bureau (CVB) hosted a FAM trip for three North American journalists specializing in the game of golf so they could become acquainted with and play on the courses hosted by the destination. The trip was held at the end of May and extended into the first days of June; it was justified by the importance this gentleman’s game holds for the captive market the United States represents for the Riviera Nayarit. The sum total of impressions generated by the publications the three reporters write for surpasses one million golf lovers. Jason Deegan, a reporter who specializes in luxury hotels and everything golf around the world, writes for the Golf Channel and its Worldgolf websites: www.golfchannel.com, www.Travelgolf.com and www.worldgolf.com. He’s also editor of Michigan Golf Magazine and a principal contributor to Athlon Sports Annual, one of the top ten golfing magazines in the United States. The reach of his posts just on the Golf Channel surpasses 800 thousand followers. Danny Freels currently writes for GolfTime Magazine, published twice a year in Chicago and the western United States. It has a print run of 60 thousand issues per edition and is distributed in more than 450 golf clubs. Freels has worked as a freelance journalist for many years and is considered a top source for the sport. Erik Hart was golf director for the Hacker’s Guide, which classifies golf state by state within the United States. He’s currently a writer for Golf Gateways Magazine, a specialty publication with a circulation of 230 thousand issues. The writers visited El Nayar Vidanta Golf Club, Nuevo Vallarta, El Tigre Golf Course, Nuevo Vallarta, Flamingos Golf Course, Flamingos, Litibú Golf Course, Punta Mita Bahia Golf Course and the Punta Mita Pacifico Golf Course. It’s a well-known fact that many players from the U.S., both amateurs and professionals, love visiting the Riviera Nayarit for its golf courses. In fact, many spend the winter season in Mexico’s Pacific Treasure playing on a daily basis.